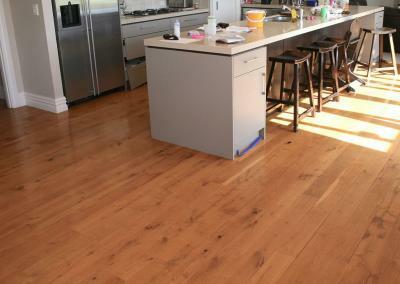 Solid Timber Flooring is wooden flooring in its most authentic, enduring and highly regarded form. 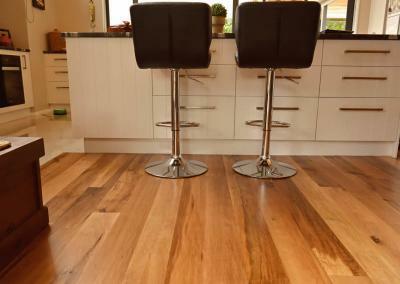 We showcase a selection of beautiful solid timber floors that will greatly enhance the appearance and value of your home. 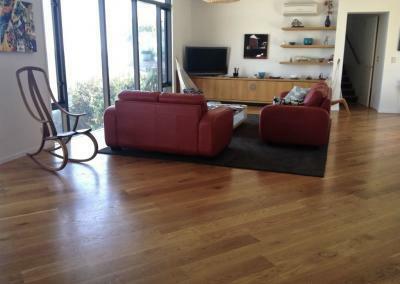 Your Solid Timber Flooring will be hard and stable and provide texture, colour and natural warmth. It will also be good for the environment. 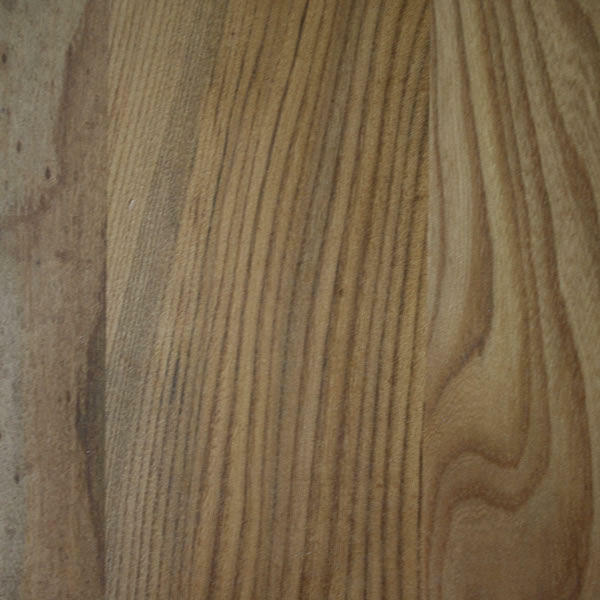 Our solid timber flooring is made from single planks sawn directly from the log. Each floor is custom machined; we can tell you the origin and history of your timber. NExcellent Value. 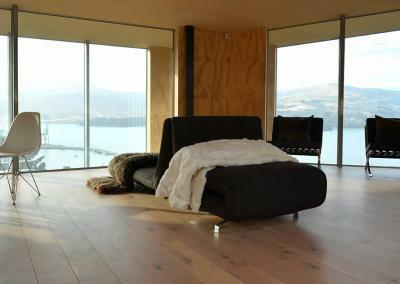 With NZ timber we procure woodlots, logs and green timber and process through to the floor board. The supply chain is short. NAssurance: Your Solid timber will last forever, and similar to an antique it will be enhanced with wear and patina. 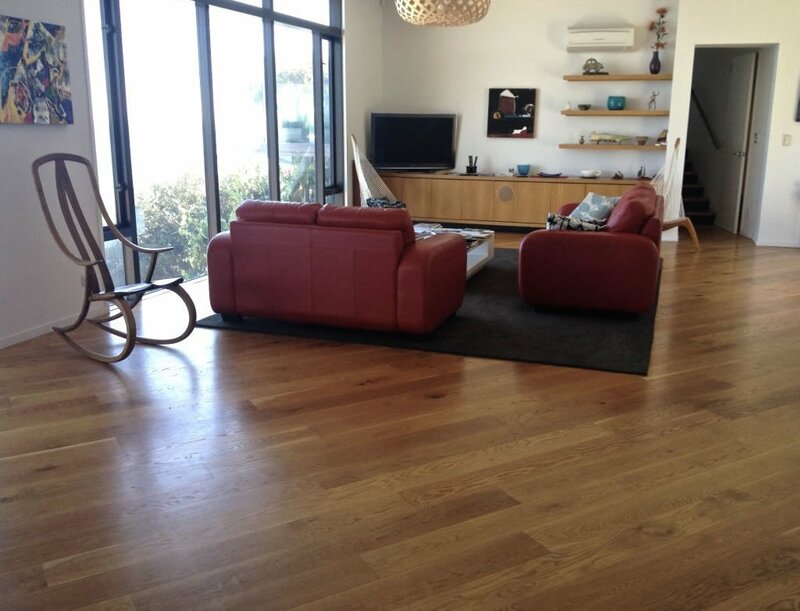 NSolid timber flooring is hard throughout not just the top layer. NStable. Our flooring is kiln dried and expertly machined. 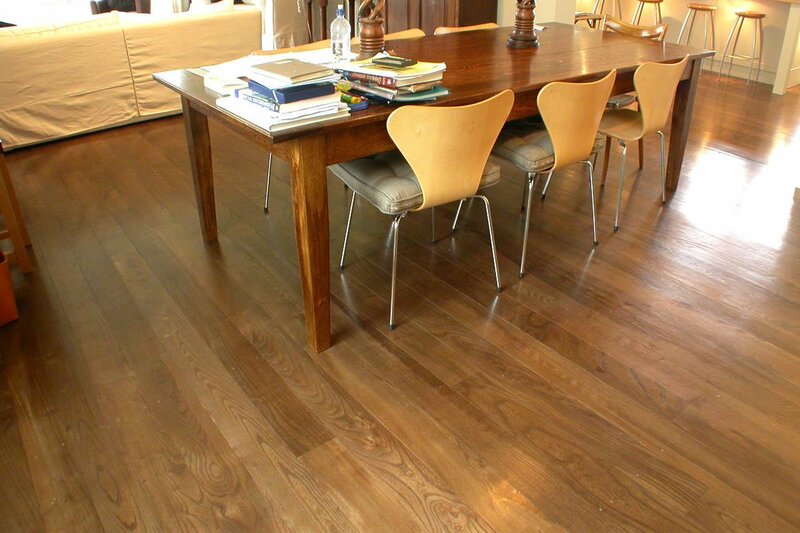 Seasonal movement is natural and part of the look and experience of an authentic timber floor. NSuitable for heavy traffic such as public spaces and commercial interiors. NOptions include long board planks and patterned parquet. NInstallation & Finishing Service in addition to supply. We install directly over concrete, including under-floor heating, particle board and joists. NColours & finishes – many options including natural finishes, stains and whitewash. 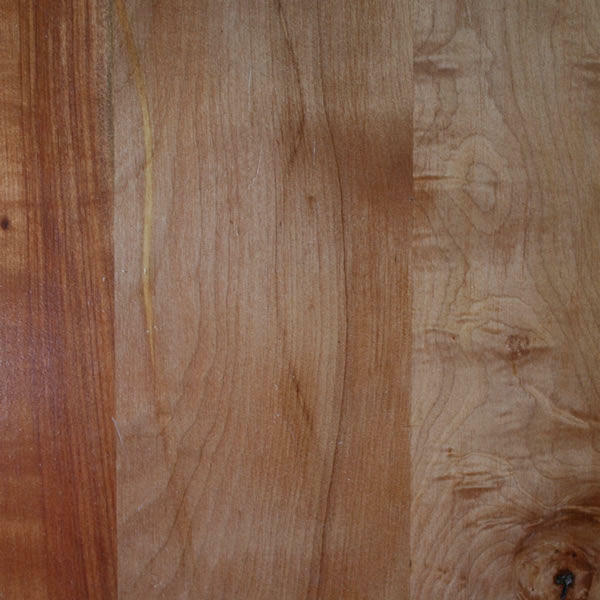 IMPORTED: Australian Hardwoods, White Oak and Rock Maple. 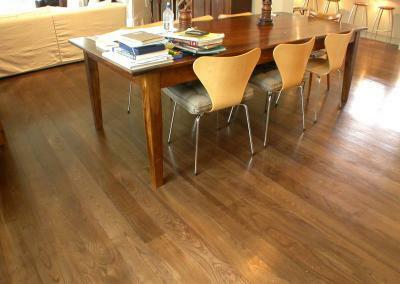 We understand that flooring is a critical design element and an important chunk of the budget. 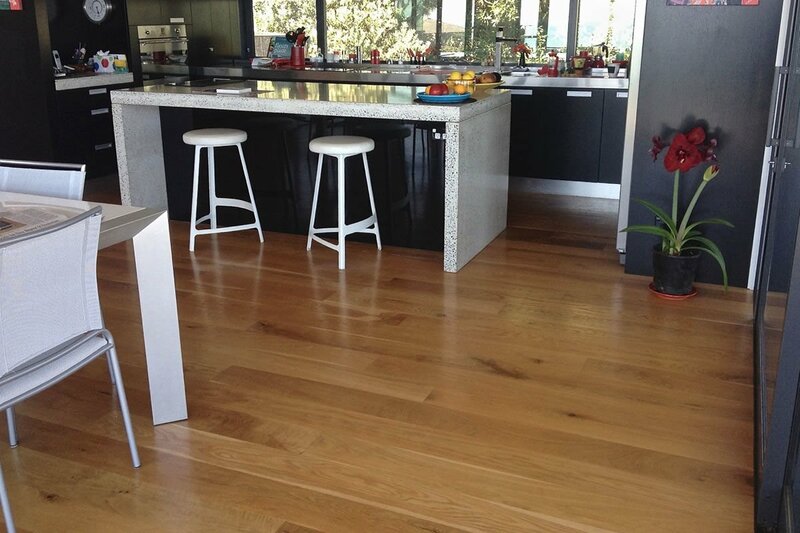 We will advise on how to achieve a stylish, functional and durable floor with our unbeatable solid timber. 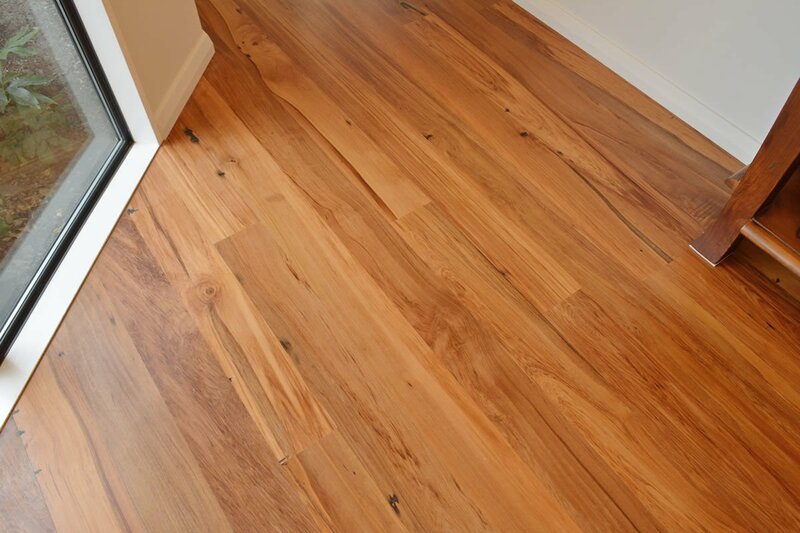 EARTHY Native Timber Floors in clear or rustic grade have historical links to our building heritage. MINIMALIST floors in light hues can be achieved with Rock Maple, NZ Sycamore, White Oak and Ash. HERRINGBONE PARQUET is a striking feature of elegant Continental floors; we can provide such a floor in solid NZ Hard Oak and Elm. FINISHING has a major impact on the look and performance of your floor. We will discuss the finishing options and, in addition, we stock non-toxic natural hard wax oils and stains. INSTALLATION AND FINISHING SERVICE – throughout New Zealand. We have installed and finished hundreds of solid timber floors including extensive repair and replacement work after the Christchurch earthquake. Currently, we are supplying and installing the solid timber flooring in the restored Christchurch Town Hall. 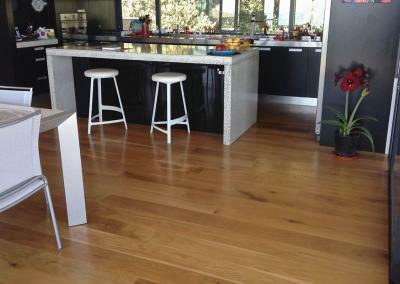 Solid timber flooring is a health-conscious option. 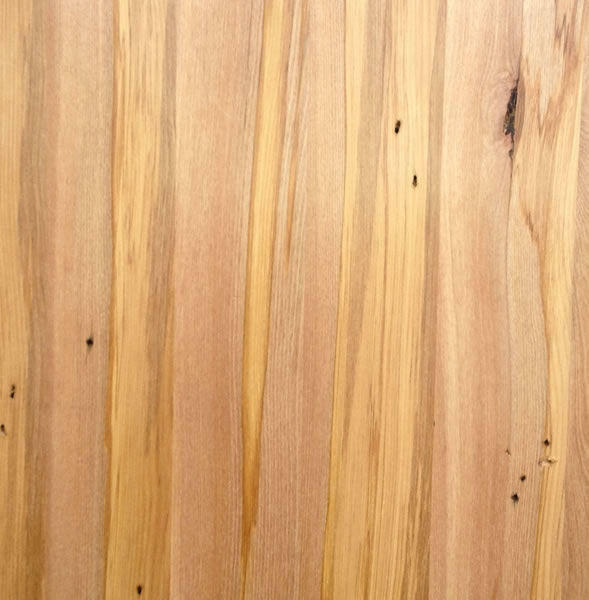 Most durable wood possess anti-bacterial and anti-fungal properties. Through experimentation, Scientists at the University of Wisconsin found that 99.9% of bacteria dangerous to humans, when placed on solid wooden boards, had died out completely within minutes. Solid wood floors regularly vacuumed greatly reduce unhealthy dust and household mites. Researchers at Lincoln University have proven that wood holds two and half times the heat by volume that is held by concrete. NAUTHENTICITY While laminate & engineered flooring are designed to imitate solid timber flooring, solid timber is the real thing. 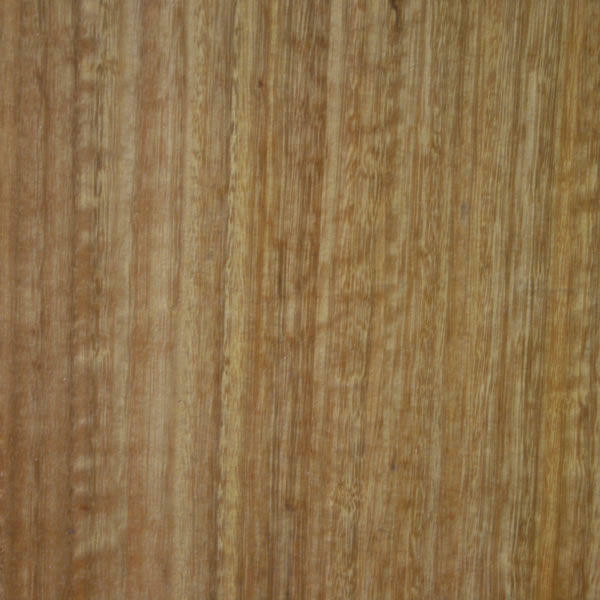 Our boards come in random lengths and have natural variations in figure and colour from knot-free to ultra rustic. 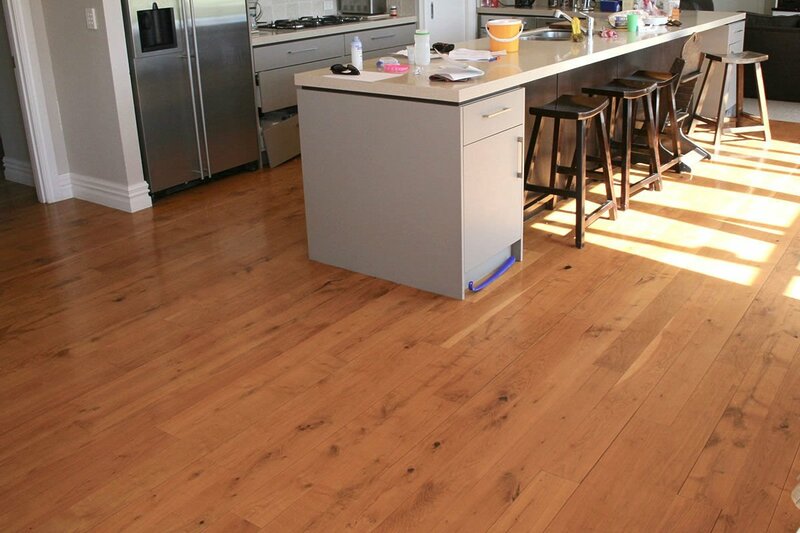 NGREAT VALUE – A solid timber floor is an absolute investment that will last for many generations. The added value exceeds the cost. 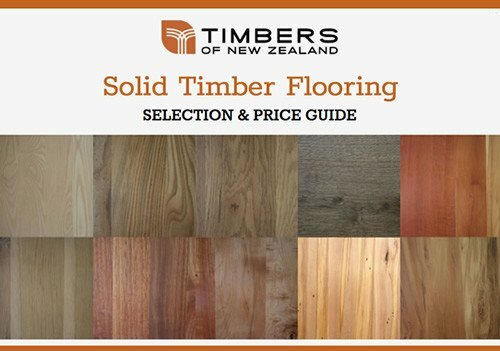 With our short supply chain, the price difference between our solid timber floors and our engineered floor is not large. Enquire about our ‘special’ stock lines that can be cheaper than engineered flooring! 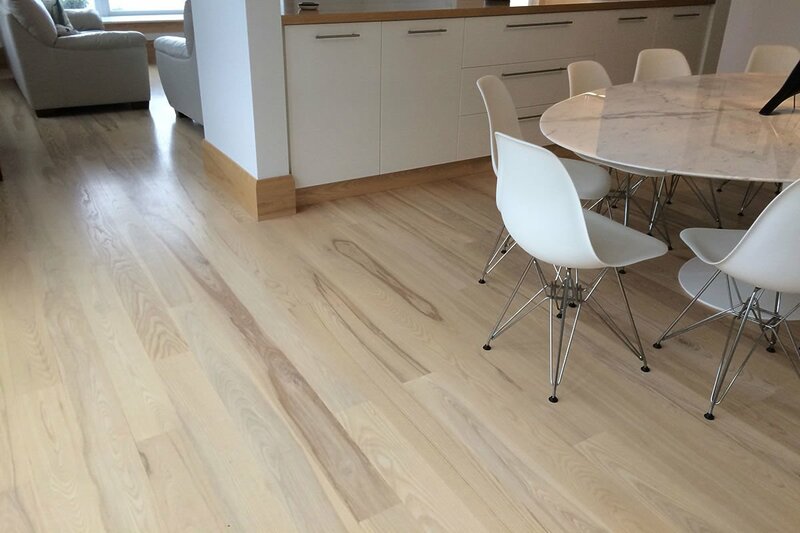 NGREATER FLEXIBILITY IN STYLE AND DESIGN With our wide range of timber species, finishing options and board sizes, we can supply a solid timber floor to satisfy any design objective. NLONGEVITY – Like your home should last a lifetime, so should your floor. A well maintained solid timber floor will endure, developing patina, character and beautiful scars over decades of use. 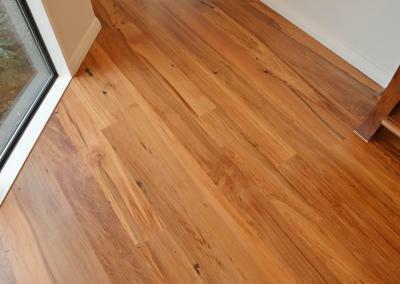 Many solid timber floors in NZ Victorian Villas are well over 120 years old and prized by their owners. 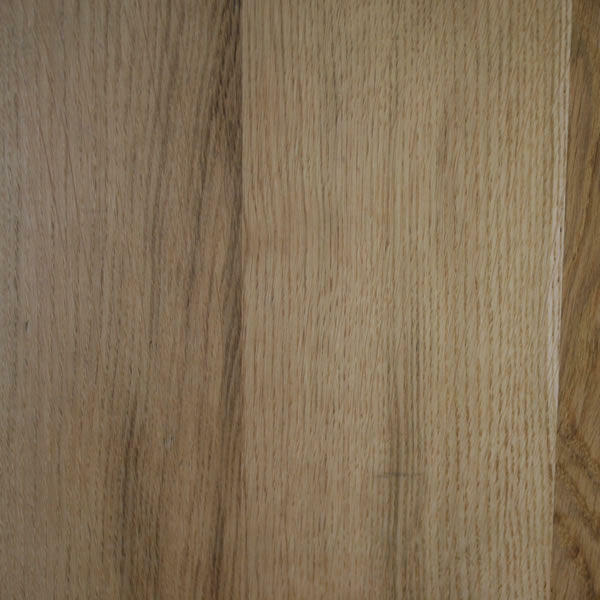 NTHICKNESS – A solid timber floor can withstand a complete re-sand and a change in finish while retaining the timeless feel of the original floor. NSTORES MORE CARBON – Every 50 square metres of solid timber flooring stores about 2 ½ tonnes of atmospheric carbon. The tree has taken in carbon dioxide for photosynthesis producing oxygen and carbon to make wood. The carbon is trapped in the wood until it decomposes. NUSES LESS ENERGY: Less energy is used in the manufacture of Solid Timber Flooring than engineered and laminate wood flooring. 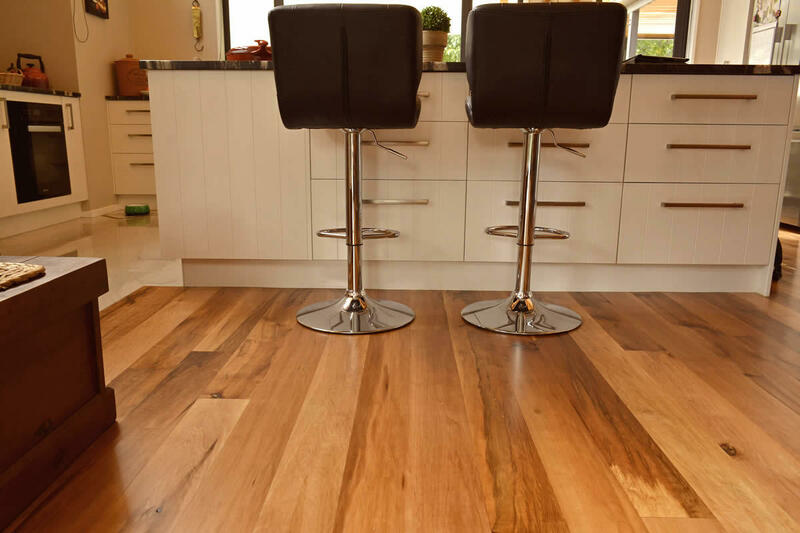 The freight distance for local Solid timber flooring is less than other wood flooring options which are all made overseas. NBETTER FOR THE ENVIRONMENT – The use of NZ grown wood supports our forestry industry which is good for water quality, soil conservation and diversity of habitat. We source from sustainable forests where young trees replace harvested trees. NSUITABLE FOR WET AREAS: Unlike alternatives, correctly installed solid timber flooring is suitable for bathrooms and laundries. NLOCALLY MADE, SUPPORTING THE LOCAL ECONOMY AND JOBS – All of our solid wood flooring is locally processed including most of our imported flooring. 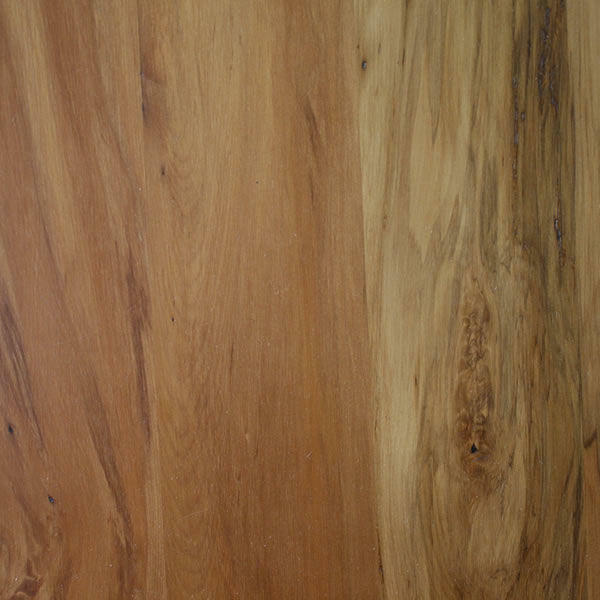 All engineered and laminate wood flooring is made overseas.